Marylou Beswick, 88, of Manchester, Iowa, formerly of Greeley, passed away on Friday, August 24, 2018, at the University of Iowa Hospitals and Clinics in Iowa City. She was born on January 25, 1930, in Colesburg, the daughter of John and Effie (Binning) Keck. Marylou was raised in the Colesburg area and graduated from Colesburg High School in 1948. She then attended Iowa State Teachers College in Cedar Falls for two years and received her teaching certificate. Marylou taught sixth grade in Arlington for two years. On April 5, 1952, Marylou was united in marriage to John “Jack” Beswick in Colesburg. Three children were born to this union. The couple farmed together west of Greeley. Marylou and Jack worked their land and raised livestock together until his death in 1995. Marylou remained on the farm until 2004 when she moved to her home in Manchester. In 2017, Marylou moved to the Meadows. Marylou was active in many farm-related organizations. She was a past 4-H leader for the Greeley Go Getters. Marylou served as the past president of the Delaware County Cow Bells. She also served on the Delaware County Farm Bureau Board for 41 years and acted as the board secretary for 25 years. 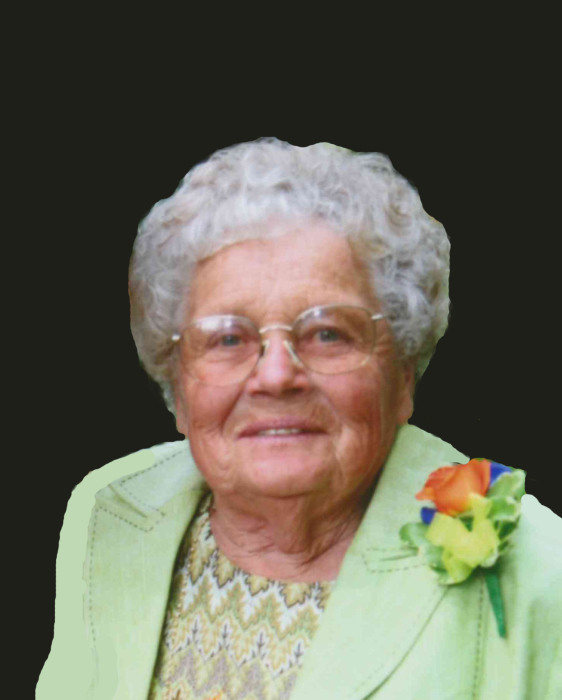 In addition to the farm organizations, Marylou was a past worthy matron of the Greeley Eastern Star and the Colesburg Eastern Star. Marylou was a longtime member of the Greeley Methodist Church and the United Methodist Church in Manchester. She was also a member of the Rebecca Circle #3 at the Greeley church. Marylou enjoyed working crossword puzzles. She was an avid fan of the Iowa Hawkeyes football and basketball teams. Marylou always enjoyed driving her large pickup trucks around the countryside. While at the Meadows, she enjoyed going out on the various outings with her friends. Survivors include her two children, Robert (Therese) Beswick of Greeley and Elizabeth “Beth” Todd of Manchester; seven grandchildren, Angie (Justin) Reaves of Davenport, Jennie (Elliott) Swint of Le Claire, Jason (Dragana) Jared of Madison, Wisconsin, Mary Beth (Josh) Wendling of Manchester, and John, Luke, and Paul Beswick of Greeley; two great-grandchildren, Jayden and Jaxson Reaves; one sister-in-law, Nondas Beswick of Des Moines; a son-in-law, Dean Holst of Le Claire; and many nieces and nephews. Marylou was preceded in death by her parents; her husband, Jack Beswick; her daughter, Marilyn Beswick-Jared-Holst in 2007; three brothers, Ivan (Eleanor) Keck, Karl (Betty) Keck, and Robert (Katherine) Keck; and a sister- and brother-in-law, Dorothy (Danny) Wiechmann and Howard Beswick. Marylou’s family would like to thank the staff at the Meadows for all of their wonderful care. They would also like to thank the nurses and doctors in the Regional Medical Center Emergency Room and at the University of Iowa Hospitals and Clinics in Iowa City for their thoughtful care. Memorials may be directed to the Greeley Fire Department or a charity of your choice.